Titanium Towing covers every corner of Mississauga round-the-clock for quick emergency lockout coverage. Our friendly technicians are available 24/7 to replace any ignition key model, reprogram any broken transponder key or safely pry open any wedged door lock. You could say that we leave no stone unturned when it comes to all around lockout assistance! We’re renowned for having a super speedy arrival time of just 30 minutes. You’ll find our rates to be quite reasonable as well. Ignition keys have a tendency to bend and fold over time. The last thing you want to do is to add any unneeded force to remove the key from the cylinder hole. Forceful removal may result in serious damages to the ignition itself, which translates into expensive repairs. We’ll save you the unwanted repairs as we have the extraction process down to a science! Our experts will gently dig out the debris and clear the cylinder structure. Just name the model ignition key and we’ll have it replaced on the spot! Our lockout solutions in Mississauga includes; fob key repair, remote keyless entry repair, rekeying door lock structures, key ignition replacement & safe extraction, GM VAT keys, reproduction of general brand car keys, laser key cutting, switchblade keys, chip key programming, window lock installment and emergency trunk locking solutions. 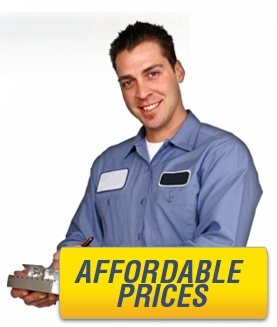 We’re well regarded as the most reliable locksmith in Mississauga and for good reason. We make sure our customers receive elite quality coverage at cost efficient prices. Our technicians set up shop on-the-go. Our trucks contain the valuable cutting tools and machinery needed to replace all types of ignition and chip keys. We also eliminate the hassle of visiting a car dealership, which may be closed for the day after business hours. Fortunately enough, we operate our mobile lockout services 24/7. We can stop by your workforce parking lot or home address to provide you with a brand new model ignition key. We’re an honest and reputable locksmith with a flawless feedback record when it comes to customer care. We’re also Mississauga’s most trusted towing company. Our name is our bond and we refuse to compromise our integrity. We have an incredible team of focused, licensed and determined experts with years of experience in the industry. Call us today for a free estimate.